What is borderline personality disorder? How my friend was diagnosed. Content warning: This articles includes details of suicide and may be distressing for some readers. In high school, Bella* was my best friend. We would spend our lunch hours stretched out on the netball courts, dreaming of a tan, or sharing a stolen pack of cigarettes behind the car park. We debated the relative merits of Oasis over Red Hot Chili Peppers, painted each other’s nails black, wagged school to go shopping. On the weekends we loitered in the shopping centre, checking out the boys, or shared a messy plate of nachos in the food court. I interpreted friendship like the intense teenager I was: No matter what happened, I had her back, and she had mine. We would have gone to the ends of the Earth for each other. She’d always been a bit wild, with an impulsive streak which saw us taking off on road trips at a moment’s notice. Still on her L plates, she’d nudge over the speed limit on the notoriously dangerous Midland Highway, terrifying local farmers as we tore past the paddocks. When we were sixteen, Bella attempted suicide. She called me before the pills took effect; I hung up and called an ambulance. They diagnosed her with an acute case of Stupid Teenage Girl. Attention-seeking: the diagnosis of adolescence. They sent her home with a prescription for antidepressants. And that’s when things got really bad. Over the next three years, Bella tried to die by suicide nine times. When we left school and started uni, she moved into my share house, throwing parties and drinking herself into oblivion. She couldn’t stick at a job. There was a deep sadness at her centre, like she was always searching for something. She told me once, vodka-soaked, that she didn’t feel like she knew who she was, that she played a different role with everyone. "She&apos;ll grow out of it." This was the common solution for many adults in her life. Finally, after many hospital visits; after losing job after job and man after man, after one too many “cries for help,” Bella was admitted to the psych ward, where Dr Albright* diagnosed her with Borderline Personality Disorder. I&apos;d never heard of it. It sounded awful, like it went right to her core: her personality was disordered. And what did “borderline” mean anyway? I did a bit of research, raiding my mum’s medical textbooks. I found out from the psychiatry manual DSM-5 that up to 6 per cent of the population have the disorder, which meant it was almost as common as depression. It most often occurred in women. How could something so common be so unknown? Bella’s symptoms were textbook. “[People with BPD] feel things more strongly than others, their feelings develop more rapidly, and this can be overwhelming,” Dr Ian Sale, a psychiatrist in both the private and public systems says. Bella herself couldn&apos;t have described her feelings better. I feel too much. It’s overwhelming. It was like a light went on. Dr Sale says that the disorder is sometimes misdiagnosed, and he believes the name itself contributes to this. There’s resistance among patients and their families; some people would almost prefer any other diagnosis. “Changing the name – to Emotional Dysregulation Syndrome or something like that – would help a lot. The word &apos;Borderline&apos; doesn&apos;t describe it well,” he says. But for Bella, the diagnosis was so helpful. It was a relief to know that this was not just weird teenage behaviour; that there was treatment for it. That she might get better. It was validating for her. And for her friends and family, the diagnosis meant the difference between loving someone despite their chaotic, distressing behaviour, and learning to understand them, to support them as they seek treatment. People with BDP need to learn coping strategies, mainly through therapy. Bella has now been in therapy for 10 years. With her psychiatrist, she has developed coping strategies for her intense emotions, and continues to work on her self-esteem. I’m not going to lie – it’s a long, hard road and while she’s a lot better than she used to be, she still struggles sometimes. But she is more aware of her self-destructive behaviours and her trigger points. She’s kicking goals in her career and has just been promoted. She’s given up drinking and now, when she’s sad, she calls her mum and turns to ice cream instead of vodka. We’re still friends – and she still won’t concede that Oasis was always the better band. Friends and family of people living with BPD should encourage them to see a psychiatrist; to get treatment. Dr Sale says, “If you&apos;ve got someone you love, the usual lines – beyondblue, Spectrum, and so on – will direct you to potential help.” And as for the rest of us, we need to stop fearing the diagnosis. The name is flawed, but the disorder is real – and while a diagnosis is only the beginning, it’s the first important step on the road to recovery. f you, or someone you know, is struggling with symptoms of mental illness please contact your local headspace centre or chat to them online here. If you are over the age of 25 and suffering from symptoms of mental illness please contact your local GP for a Mental Health Assessment Plan or call Lifeline Australia on 13 11 14. 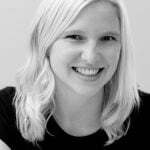 Frances Chapman is a writer and copywriter from Sydney. Her fiction and essays have been published online and in print, and she is writing a novel. You can follow her on Twitter @eveymercedes.